On Saturday, I had the pleasure of attending a one-day NSA conference sponsored by the Boston chapters of the NSA. 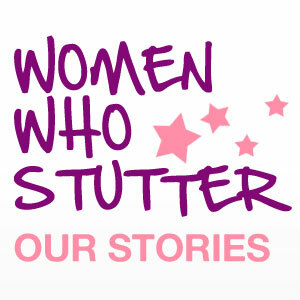 The conference was held at Boston University, where one of the coordinators of the stuttering program arranged for space to be used for the day. I drove over to Boston from Albany, NY where I live. It was about a 3 hour drive, and most of it, both to and from, it rained. It even snowed a little on the way back, which I was totally not ready for in October. I had no expectations of the one-day conference, except that I was looking forward to spending the day with other people who stutter. And what better day for this than International Stuttering Awareness Day (ISAD) which is recognized every October 22. I met lots of people from the Boston area as we spent the day together in workshops and at lunch. I really enjoyed hearing so many Boston accents! The first workshop of the day was on self-advocacy, something that is near and dear to my heart. I believe that everyone who stutters should advocate for themselves because no one else is going to do it for us. Jess facilitated this workshop by sharing some scenarios she created to use as discussion points. Our group only got through 3 of 8 scenarios because we all shared our experiences with advocacy – both what we found easy to do and what may be more difficult. The next workshop focused on choosing activities that we could participate in that would stretch us out of our comfort zones or be a real peak performance for us. People shared what they were willing to try when they got back home. One guy said that he wants to get up the courage to ask a question at a meeting that usually is comprised of 200 people. He wants to be able to do that with no shame of stuttering openly. Another guy said he wants to check out a Toastmasters meeting. Another guy said he wants to make more phone calls than always relying on the internet or email. The last workshop that we attended was the screening of the short film “Stutterer.” We watched it as a group – adults, parents and SLP students. I had already seen the film but delighted in seeing it again with people who were seeing it for the first time. We had a great discussion about whether we thought the film portrayed stuttering realistically. We also talked about how it made us feel and what we thought about the ending, which had a surprise twist. It was a great day of coming together, sharing experiences and supporting each other. We wrapped up with watching a video the kids had made about stuttering and how they want to be treated by others when they are stuttering. The kids were amazing with their open and shame-free stuttering. The Boston NSA chapter leaders Sarah and Jess did an amazing job putting this conference together. I was very glad I went and got to spend time with other amazing people who stutter on International Stuttering Awareness Day. On the last night of improv class, one of my classmates came up to me to talk for a minute. She had a sheepish look on her face, as if she was wasn’t sure how I’d react to what she was about to say. Well, we got busy with the show and performing and all and before we knew it, the night was over and I was saying my goodbyes. My classmate mentioned that I hadn’t met her friend. I told her I had to get going, as I was driving my mom home. She said maybe another time then, as she was sure we’d hit it off. I laughed to myself. How many times has this happened to you? That someone wants to introduce you to someone just because you both stutter. Like we’d be fast friends because we have stuttering in common. Note to readers: just because two people stutter doesn’t mean they will be best friends. Just like with anyone else, you may not like each other, one might rub the other the wrong way or maybe one is a jerk, (not me of course!) despite being a person who stutters. It is true that people who stutter definitely have something in common, but it doesn’t automatically mean they will hit it off and become best friends. I just think it’s funny that people automatically want to introduce me to someone else who stutters because they’re sure we’ll hit it off. This has happened to me several times. What about you? Well, I took a big risk and joined an improv class. I had heard improv was a great way to get out of your comfort zone, practice being in the moment and have fun. My first class was this week. I had googled a few articles on improv so had a general idea as to what it was, but really had no idea what to expect when I walked into the classroom. I was nervous and excited at the same time. I was nervous about looking foolish in front of others and about how to handle the fact I stutter. It was important for me to find a way to let my classmates know that I stutter so they wouldn’t be surprised when they heard me stuttering. We started out with doing some warm-up exercises to get to know each other. They were a combination of saying our names and doing a fun action. Before we knew it, everyone was laughing and seemed somewhat comfortable. Turns out, I wasn’t the only one who was nervous. We then moved into learning some of the basics of improv, like establishing relationships and places so that onlookers can get a sense of the scene you’re creating. We worked on collaborating with each other, using the improv strategy of “Yes, and.” This strategy has us agreeing with what our partner gives us and adding to it, forging onward with what we are given. In other words, much of improv is going with the flow. At one point, the teachers wanted all of us to get to know one another, as our selves, not characters we were creating. We paired up and just talked to each other, asking questions to get to learn about each other. My partner asked me how my summer was and if I had done any thing fun. Here was my opening to talk about stuttering. I mentioned that I had gone to Atlanta for a conference and naturally she asked what type of conference. I told her it was the annual NSA conference for people who stutter and that I stuttered. She went with the flow and said that was very interesting. Everyone was watching our “introduction piece” so I advertised it to the group as well. After that, I felt more comfortable letting my stuttering out and just going with the flow. I am really looking forward to seeing how this class goes. I’ve been looking for something to challenge me since finishing with Toastmasters and this definitely will be a challenge. I’ve been worried about the fact that I am not naturally funny and I’ve read that I don’t have to try and be funny. I can just be natural and work with classmates and think in the moment and work as a team and funny will naturally happen. I’m hopeful that’s true. Wish me luck. We do a performance in front of an audience at the end of the class, live on stage. I’ll really be stepping out of my comfort zone and hopefully having a blast! I participated in a great conversation yesterday with people who stutter from around the world, in a Stutter Social group video chat. The discussion started out with one person asking for tips about giving presentations. He had one coming up at school and was nervous that his stuttering would interfere with his ability to do a good job. Several people offered suggestions, such as practicing, trying not to read verbatim from notes and advertising that you stutter before beginning the presentation. One person suggested that he try and be as fluent as possible. He talked about practicing speech techniques daily in order to achieve fluent speech. I couldn’t pass up the opportunity to chime in that I thought this was an unrealistic goal. People who stutter are going to stutter and we should not strive for fluency. In my opinion, that often results in feelings of disappointment and failure, which just exasperates our stuttering. Instead, I suggested that we aim for being fluid while communicating. Being fluid can be described as having or showing a smooth and easy style. That’s what I shoot for when I am giving presentations. My years of Toastmasters training helped me build excellent speaking skills, which I use every day. I’ve grown comfortable with eye contact, gesturing, vocal variety, and speaking without using notes. I became a much more fluid speaker when I began to focus on what I was saying and trying to convey. In other words, I wasn’t trying to be perfectly fluent. I am a more natural and comfortable speaker when I move easily from topic to topic with good transitions and flow. I am more fluid when I am very comfortable with what I am talking about so that I don’t need to use notes. You can stutter and be a very effective communicator. Stuttering doesn’t have to interfere with the message you are conveying. As the name of this blog implies, you can make room for the stuttering by being fluid, going with the flow, being comfortable when speaking and enjoying the experience. Making room for the stuttering will help lessen any anxiety you have about trying to be perfectly fluent. That’s just not going to happen for people who stutter. Episode 160 features Bailey Palmer, who hails from Port Orange, Florida. Bailey is 22 years old and is going to college to become an elementary special education teacher. She also plays tennis (and is quite good!) and has a mirror image identical twin, who doesn’t stutter. Listen in as we discuss how tennis has really helped Bailey with her stuttering. In college, being part of a team has made it easier for her with regard to advertising. She already has friends who accept her. And tennis always gave Bailey a sense of control that that she didn’t feel she had with her stuttering. We also discuss how in college Bailey is able to ask more questions, since she is in small size classes. She is able to ask her professors what they would do if they had a student who stutters in their class. We also discuss the recent NSA conference in Atlanta, to which Bailey brought her whole family. This was so important to Bailey, to share her NSA experience with her family. She wanted her family to experience the acceptance and support of the NSA community. She says it was quite emotional for her family and they already want to go back next year. Bailey talks about a workshop that she and her siblings did for siblings and how successful it was. I came across this great phrase “living out loud” in a post I referenced on Facebook four years ago. It popped up in my memories section of Facebook today. The article was about a high school senior who was going to give opening remarks to 2500 people at his graduation. He stutters and wasn’t letting anything stand in his way. The headline of the article read “Tenacious grad doesn’t let fear stop him from living out loud.” I remember thinking how much I liked that phrase, particularly about someone who stutters. How many of us have lived silently, below the radar, taking a backseat at school or work because of our stutter? How many of us have let fear of possible negative social reaction hold us back from doing something we really want to do? How many of us have been told we couldn’t do something because we stutter and we believed that and took it to heart? I did all of those things for a long time when I tried, unsuccessfully, to hide my stuttering. I let people’s negative reactions affect the way I thought about myself and purposely chose to stay in the background. I thought that was safer and I wouldn’t be subjected to other people’s ridicule or negative beliefs about me. But it wasn’t safer. I was compromising my self respect and authenticity by pretending I didn’t want to be involved in life’s moments. I desperately wanted to be involved. I had a voice and it yearned to be heard, repetitions, shakes and all. I wasted many years being silent and pretending that I was OK with that. Over the last nine years, I have made up for lost time. I let my voice be heard. I don’t let anyone silence me. I don’t choose silence. I am living out loud and letting people hear my unique voice. I challenge you to do the same. Let your voice be heard. Take a chance and say yes when someone asks you to do a talk or presentation or participate in a conference call. Go on job interviews with the confidence that you’ll be memorable and that people value your abilities. Talk to your child’s teachers, make your own phone calls and don’t let anyone tell you that you can’t do anything because of your speech.